Trains Stopped at JR Nagaokakyo Station. 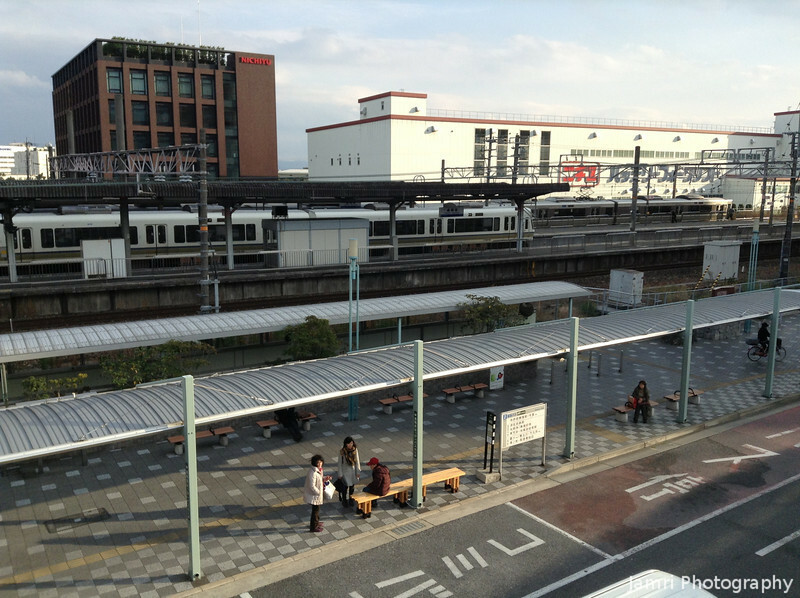 All the trains in both directions between Osaka and Kyoto had stopped on the JR lines. Read my caption on the previous photo to see how Japan's superb public transport system still got me to where I wanted to go. I like the aerial-like view here!